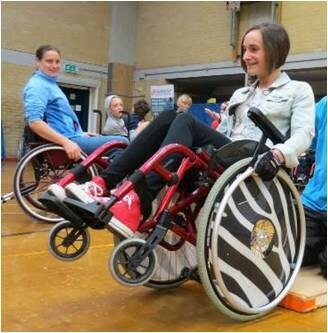 Go Kids Go are running free wheelchair skills workshops in Scotland and will be delivering at Leith Academy, Edinburgh on Monday 17th October (10am – 3pm). The sessions are open to young people from the age of 2 -18 years. The aims of the sessions are to help young wheelchair users become more independent in their chair. Throughout the day they will get the chance to learn new skills, play games/sports and meet other young wheelchair users. The workshops are also a great opportunity for parents/carers and siblings to join in too! Three young Lothian athletes represented the region at the recent 2016 School Games, which were held in Loughborough University Campus from Thursday 1st September to Sunday 4th September. Ruairi Logan (Wheelchair Tennis), Josh Manson (Wheelchair Basketball) and Chrsitian Buchanan (Swimming) experienced varying levels of success south of the border, however all three will be more experienced in their sports as a result of their participation at the multi sport event for the UK’s elite young athletes of school age. The event seeks to create an inspirational and motivational setting that not only provides our elite young sports people with the opportunity to thrive and perform at the highest levels, but encourages more young people to take part and succeed in sport. The event consists of some 12 sports and around 1,600 young athletes. Christian Buchanan (East Lothian Swim Team) picked up a bronze medal in the 100m breaststroke (1:29.53) and was within one second of his personal best in the 200m Individual Medley (2:52.67), missing out on the top three. The Scotland Wheelchair Basketball Team found it tough going, losing both pool matches (46-52 v England South and 35-73 v England North). However the young Scots, including current Lothian Disability Sport Young Person of the Year Josh Manson, redeemed themselves somewhat in the 5/6 playoff match, defeating Northern Ireland convincingly 49-27. 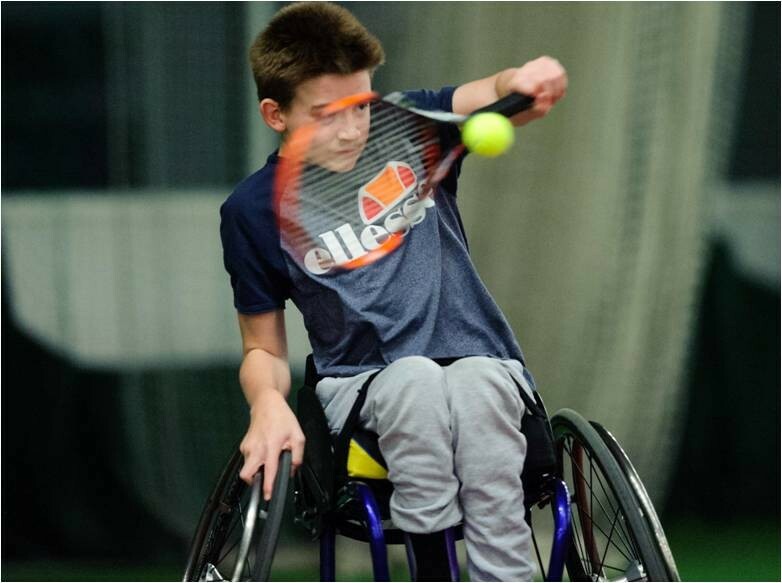 Wheelchair Tennis player Ruairi Logan secured some gold medal success, progressing through to singles final stage, dropping only two games along the way. Ruairi carried this excellent form into the Final, winning against Josh Cooper 4-1, 3-0 before the young opponent was forced to retire. The young player from Edinburgh and the 2015 LDS Young Sports Person of the Year, complimented his singles gold medal with a silver in the doubles, losing out with partner Leo McLeod to duo Ben Johnson-Rolfe and Clayton white. The School Games provides an opportunity for athletes to experience the unique multi sport atmosphere with 11 of the 12 sports being facilitated at the University campus and reinforces the Olympic and Paralympic values, comlete with opening and closing ceremonies. With the Paralympics in Rio taking centre stage, many of the young athletes who were involved at the School Games will have aspirations towards Tokyo in four years time. East Lothian Indoor Bowling Club have appointed a new Club Development Co-ordinator who they believe will lead the way in developing the sport in the local community. Today (Wednesday 7th September) the club have announced Scotland Internationalist and previous World Championship Silver Medallist Billy Mellors as the club’s new Club Development Co-Ordinator. The position, which is funded by Direct Club investment from sportscotland and funding from Lothian Disability Sport comes as a bid to strengthen and develop bowls in East Lothian. East Lothian Council have also pledged their support of the project along with East Lothian Indoor Bowling Club and East Lothian Bowling Association. Founded in 1986 and now in its 30th year East Lothian Indoor Bowling Club boasts a history of success whilst also being home to Commonwealth Games Gold Medalist Alex Marshall MBE and bowling legend Willie Wood MBE. The Club Development Co-ordinator position is an exciting development for the sport as the project is the first of its kind in Scotland. It comes at the perfect time as governing bodies of bowls look to work together to promote their sport as modern, successful and inclusive. Working with key partners, including Bowls Scotland, Active Schools and Lothian Disability sport, Billy will be tasked with supporting local clubs to increase membership as well as creating an inclusive environment for players with a disability. Lawn Bowls clubs will also benefit from the post as the Club Development Co-ordinator will also support East Lothian Bowling Association and the outdoor clubs in the local authority in increasing their membership and developing their club. 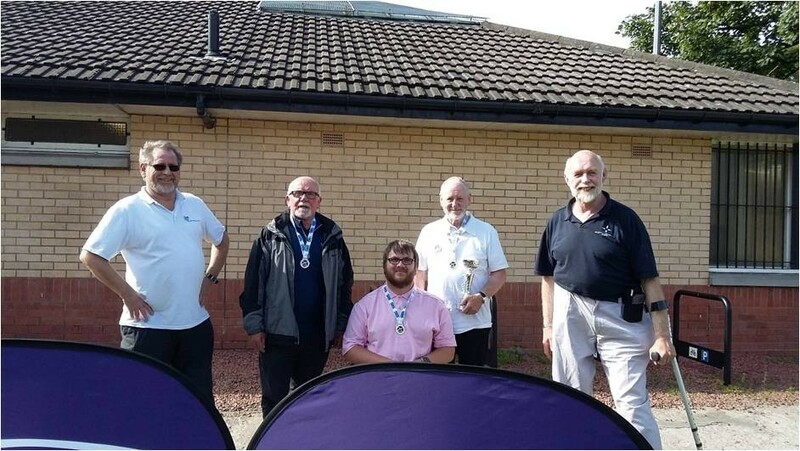 The Scottish Championship for Archers with Disabilities was held in Pollock Park in Glasgow on 29th August, a contingent from Lothian Disability Sport went supported by families and coaches Nick Murrell and Richard Vallis. Our archers, who train at Archers’ Hall, courtesy of the Royal Company of Archers, and Meadowmill Sports Centre, East Lothian shot in three categories, Adult Standing, Adult Novice seated, and Visually Impaired. We arrived late morning and after registration had lunch and set up equipment then found positions on the shooting line with about forty other archers. After a short briefing from the judges, the shooting started. The weather was almost ideal for shooting; it stayed dry with just a very light breeze. All the LDS archers shot well and brought medals home. As is usual in archery competitions the social aspect was as important as the shooting with possible new friendships being established. Team East Lothian Athletics Club and Lothian Disability Sport are working in partnership to establish a Run, Jump and Throw Athletics session for young people with a physical, learning or sensory impairment. Click here to find out more. 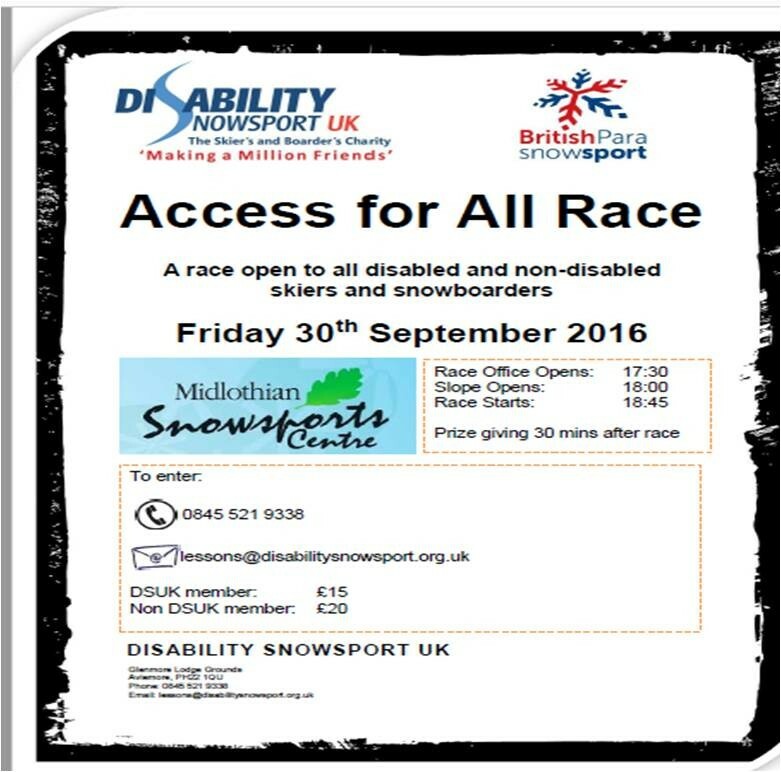 British Parasnowsport are holding an Access for All Race at Hillend dry ski slope on Monday 30th September. This race is open to all entrants, both disabled and non-disabled, skiers and snowboarders, and no race experience is required. If you are interested to come along and try racing for the first time, or want to take your skiing or boarding to the next level, this is a great opportunity. Entry is £15 for members of DSUK and £20 for non-members. Please inform us when booking if you need to borrow any adaptive equipment or need a guide on the slope. 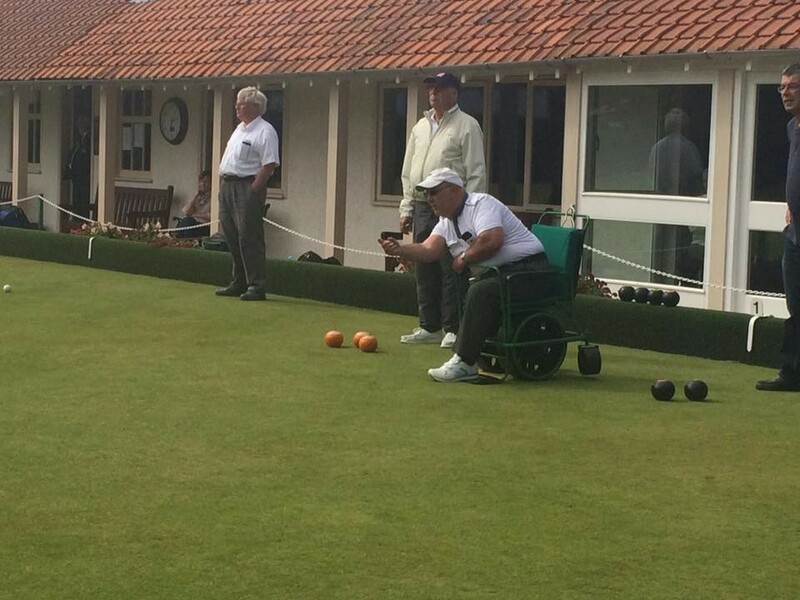 Longniddry Bowling Club welcomed a number of new players to this year’s annual Lothian Disability Sport Lawn Bowls Championships, providing the stage for many individuals with a physical disability or sensory impairment to showcase their undoubted talent on the green. The competition attracted three new players from Edinburgh and the Borders to compete alongside some of the more experienced campaigners on the disability bowls circuit and the result was some excellent shots and some very tight and entertaining matches. The event saw an increase of 27% on last year’s number and this is an area that the branch is extremely keen to develop. Although the competition received some withdrawals on the day, the organisers were able to draw two groups of players, resulting in some enthralling bowls. Last year’s Section 5 winner Carole Martin (Longniddry Bowling Club) was matched with two newcomers this year in Mike Nicoll (Jedburgh Bowling Club) and Mary Wilson (Fife) and although played well throughout, was pipped to first and second by Nicoll and Wilson respectively. Robert Kelly, the East Lothian bowler, continued his incredible record at the competition as he claimed his third successive title in the combined section without dropping any points on route to victory. However, he was pushed all the way by Alex Philips (Sighthill Bowling Club) and Gary Clelland (Bellsburn Bowling Club). Philips was competing at this first LDS competition and has only been bowling from a Bradshaw Buggy for a number of weeks, highlighting the potential he has in the sport. The club once again provided hospitality that was second to none with President Mike Carey and Treasurer George Anderson on hand throughout the day to assist with setting the green up, marking ties and all round support for all players involved. A special mention to the club members who also provided the wonderful assistance serving lunch, teas, coffees and cakes. Additionally, many thanks to all LDS committee members who supported on the day and in the lead up to the event. Three Lothian athletes and one athlete from the Borders have been selected to compete at this year’s Sainsbury’s School Games, scheduled for 1st – 4th September at Loughborough University. Christian Buchanan (Swimming / East Lothian), Josh Manson (Wheelchair Basketball / Edinburgh), Ruairi Logan (Wheelchair Tennis / Edinburgh) and Beth Johnston (Swimming / Borders) have all been given the opportunity to compete at the games, which will provide the platform for around 1600 young people from across the United Kingdom to participate alongside their peers. The competition will reinforce the experience of Olympic and Paralympic Games with opening and closing ceremonies as well as hosting twelve current and future events within the games – providing an excellent precursor to Rio 2016. We wish all athletes the best of luck as they prepare to travel south of the border to showcase their undoubted talent. SDS, in partnership with sportscotland, is seeking to appoint a Disability Sport Regional Manager, (37.5 hours per week), in the East of Scotland to lead the implementation, coordination and monitoring of an integrated Disability Sport Development Plan across the region for athletes and players with a physical, sensory or learning disability. The post holder will work in partnership with all relevant stakeholders in disability sport to deliver coherent sports specific pathways. The post will be responsible for further developing existing sports structures and ensuring a seamless pathway from participation to performance. The successful candidate will be required to demonstrate proven experience of developing, implementing and evaluating sports development plans and programmes as well as knowledge of sports development pathways and talent identification and development. This post is initially offered on a three year fixed term basis with expectation of extension with an office base in the SDS Head Office in Edinburgh. For more information, please follow this link or email Caroline Lyon, Administrator, Scottish Disability Sport, Caledonia House South Gyle, Edinburgh, EH12 9DQ. Closing date: 12 noon on Friday 19th August 2016. Interviews: Tuesday 6th September 2016. Come and join the staff at Edinburgh Leisure at Gracemount Leisure Centre for our very special sports day! 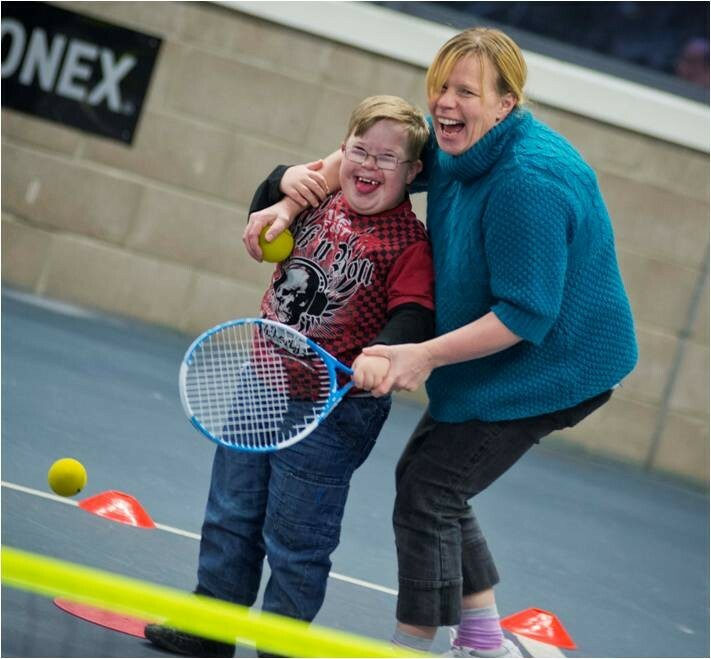 In the run up to the inspiring Paralympic Games in Rio we'd like as many kids as possible to come along with their carers to try different sports whatever their support needs are. Cost: Participants can take part in as many sports as they want for £5. Participants must be accompanied by their carers. Age: All children from P1 – S6 with additional support needs welcome with their carers. Do you have a visual impairment? 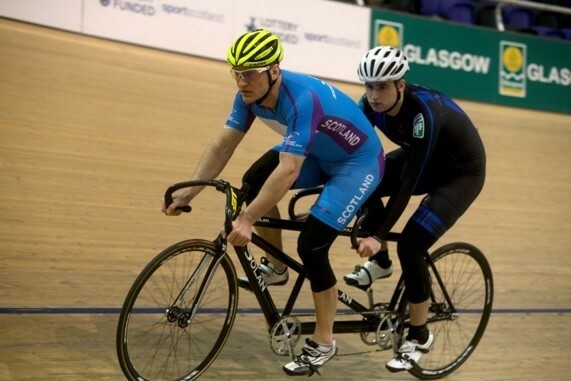 Glasgow Life are working in partnership with Scottish Disability Sport and Scottish Cycling to provide track cycling sessions at the Sir Chris Hoy Velodrome. They are keen to support any young person or adult with visual impairment and have recruited several pilots to support tandem riding as part of their commitment to the development of the sport. The Lothian Disability Sport (LDS) Annual General Meeting (AGM) for 2015 / 2016 was held at Norton Park Conference Hall, Albion Road, Edinburgh, EH7 5QY on Monday 20th June 2016. This preceded the Annual Awards Ceremony as LDS continue to recognise the considerable achievements of athletes, clubs, coaches and volunteers over the previous twelve months and celebrate the consequent impact these individuals have on disability sport across the Lothian region. LDS are proud to work alongside and support a whole host of talented, dedicated and inspirational individuals and delighted to continue to recognise these achievements. 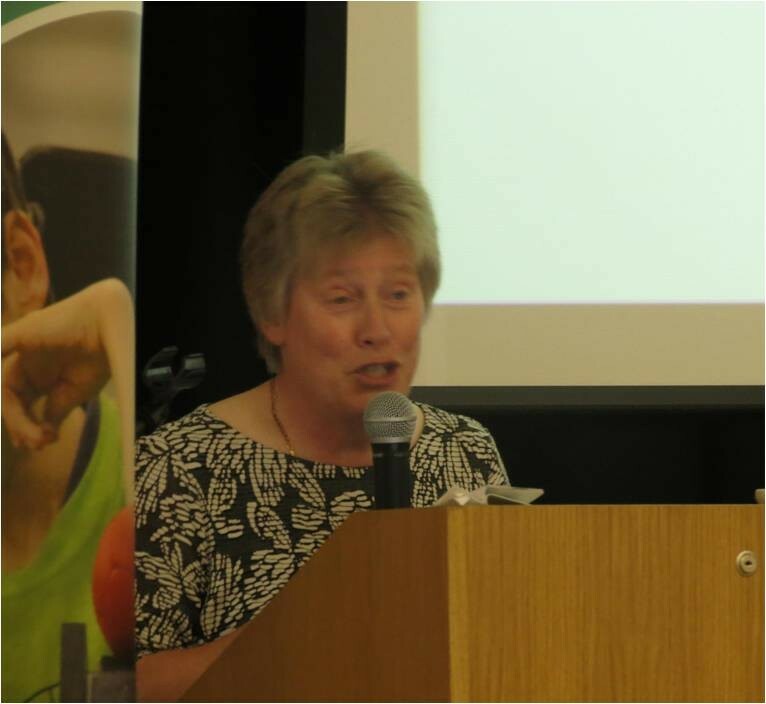 LDS Chair, Helen Bruce began the evening with the formalities of the evening and continued to look ahead to Rio and recognise the significant achievements of those athletes who have already gained selection from their respective sports for the Paralympics in Brazil later this year. At the time of the AGM, six athletes from the East region had been selected with an additional two athletes being announced since. There have also been other hugely significant achievements over the previous 12 months on the world stage, as the Special Olympic World Games were held in Los Angeles in July / August 2015; six athletes and four coaches were selected from the Lothian region to represent their country in a variety of sports, with a significant level of success achieved. Helen continued to champion the importance of partnership work between LDS and organisations such Scottish Disability Sport, FABB Scotland and Lothian Special Olympics and emphasised her appreciation of the continued support towards the funding for the Disability Sport Coordinator post from the four local authorities across the Lothian region. A full version of the Chair report is attached. Neal Herbert, the LDS Branch Coordinator, then presented the 2014 / 2015 Sports Review which highlighted the ongoing development of clubs in the region and the considerable work that is being delivered on a consistent basis from a committed band of coaches and volunteers across the region. The review was based on the LDS Strategic Plan’s Priority, Development and Participation sports. Highlights from the previous 12 months include Lothian Disability Badminton Club entering a team to compete against mainstream club players in the Lothian League, undoubtedly showcasing disability sport along the way. Additionally, the excellent work across the region in swimming is evident with the continued rise in the numbers of individuals accessing local opportunities in terms of clubs and events. Events continue to act as a route into more regular activity for athletes and players to become engaged in sport. The numbers accessing the school calendar of events continues to rise as 765 young people from over 40 schools (both mainstream and ASN specific) attending a range of events, highlighting the appetite to access local opportunities in a host of sports. 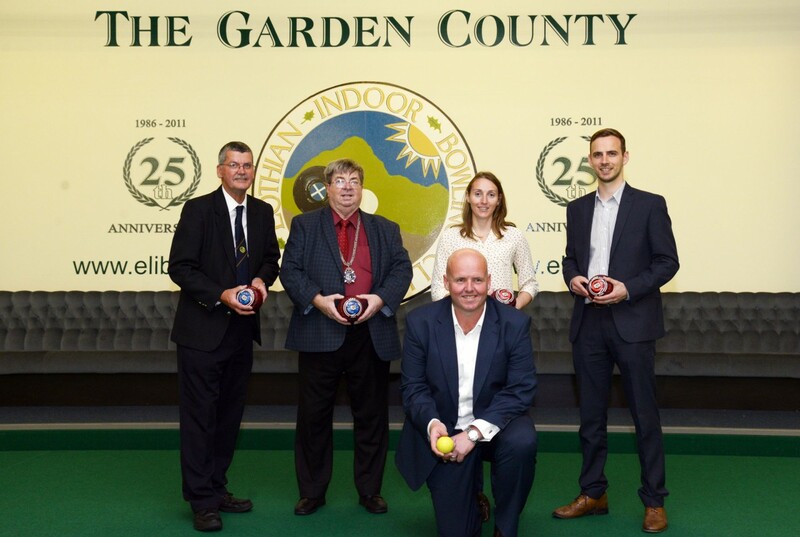 In addition to local events, Lothian were able to enter teams into all but one SDS National event this year, experiencing a significant level of success – one highlight being Alan Gordon claiming the Carpet Bowls Championship for players with a learning disability. A full version of the Sports Review for 2015 / 2016 is attached. Senior Sports Person: Stephen Clegg – This year saw another swimmer claim the senior award with Stephen being named after some outstanding achievements in the pool over the last 12 months. The East Lothian Swim Team (ELST) athlete has really progressed in the last 18 months and that has culminated in his selection for the Paralympics in Rio later this year. Stephen, a visually impaired swimmer, has worked incredibly hard after his re-introduction to the sport, something ELST Head Coach Bruce O’Halloran recognises stating “The drop (in time) he has made in the last six months is testament to the work he’s put in”. The Scottish Disability Sport Academy Athlete produced some fantastic performances at the recent British Para International Meet in Glasgow and the IPC European Championships in Madeira, claiming a number of personal bests while recording multiple British records to confirm his position as the country’s leading S12 swimmer at the moment. Young Sports Person and Jim Anderson OBE Bursary: Josh Manson – The Edinburgh based 16 year old has developed rapidly throughout the season and is now an integral part of the Lothian Phoenix under 19 League squad, whom narrowly missing out on a place in the British Wheelchair Basketball Junior League Finals this year. Despite his young age, Josh represents Lothian Phoenix in the senior national league division 3 and division 1 squads and has also been invited along to attend under 23 training camps, experiencing the sport with far older players. Out with playing the sport, Josh has proved a great ambassador for Wheelchair Basketball and disability sport as a whole through work he has done in partnership with Scottish Disability Sport – presenting to head teachers on the value and importance of inclusion young people within the mainstream PE environment. Josh has also presented confidently and enthusiastically on other projects including the East Paralympic promotional video, which will hopefully help inspire other young people to follow in his footsteps. Club of the Year: Lothian Disability Badminton Club (Lothian League Team) – LDBC are an extremely strong club and took the steps into the mainstream environment for the first time over the last 12 months, entering the Lothian League Division 5. This foray saw ten club members play competitively against their peers from local mainstream clubs, only missing out on promotion at the play off stage – emphasising the strength and depth at the club as all players have progressed through the LDBC player pathway. This is certainly the first time a disability club have entered the Lothian League and highlights the continued development of the club. The team consisted of players of all ages and disabilities and really did showcase disability sport in a truly positive manner with hard work, determination and enthusiasm highlighting an overall exceptional attitude throughout the fixtures. Volunteers of the Year: Elma Morrison and Rosie Palmer (Lothian Waves) – Elma and Rosie have been involved with disability swimming for over 20 years, initially when the session was introduced as an extra swimming opportunity at Greys Mill School in the late 1980’s. In the mid 1990’s the session was turned into an informal club called Lothian Waves, before being established as a constituted club in 1999 and Elma and Rosie have been heavily involved throughout, providing considerable knowledge and experience in the water. This support helps facilitate an exceptionally positive learning environment for all children who have accessed opportunities at Grey’s Mill and laterally Lothian Waves and provided the platform for many young people with a disability to access a quality swimming experience. As volunteers, Elma and Rosie have given over 25 years of their life to ensure that children have been given the opportunity to enjoy swimming and the chance to learn how to swim. Endeavour Award: Alan Gordon (Carpet Bowls) – Alan made history at this year’s recent Scottish Disability Sport (SDS) National Carpet Bowls Championships, being the first Lothian player to claim the top prize for male players with a learning disability – it was also Alan’s first appearance at a National event, demonstrating his development over the last year or so. Alan attends weekly sessions at Musselburgh Sports Centre and has worked closely with Head Coach, Richard Douglas who highlighted “it is clear that Alan enjoys the game of carpet bowls and brings enthusiasm, while he also encourages and helps other players”. The willingness to support other bowlers is evident and plays an important role in Alan’s participation in the game and this friendly nature has helped gain admiration from friends and fellow competitors. Alan has overcome various obstacles to attain the National Championship and this achievement is down to hard work and a significant willingness to learn. Junior players from across Scotland gathered for the inaugural Wheelchair Basketball ‘Regional Junior Championships’, at the Peak in Stirling. The Championships form an important step in the talent pathway for young players, with many progressing onto Scotland honours. The competition was split into two age groups - U13s, playing 3v3 on 8ft sized hoops, and the U19s playing 5v5 on 10ft sized hoops. Several of the games were so tightly fought they went to double overtime. The event was sponsored by RGK Wheelchairs and supported by Scottish Disability Sport; Active Stirling; the Peak Sports Village; Stirling Knights; Stirling Sainsbury’s, and The Lord’s Taverners. RGK Wheelchairs also provided the award for the Most Valuable Player, which was awarded to Morwenna Hastings, representing Highlands. The Jack Kane Centre once again played host to the Lothian Open Boccia Championships and welcomed 50 players from around Scotland to compete over four sections. Players travelled from the West of Scotland, Dumfries & Galloway and Forth Valley and helped the strong Lothian contingent contribute to an excellent day of boccia. There was fierce competition throughout the day in class A (players with physical disability) with experienced players in all three of the sections and it was Lucy Rutledge, Ross Munro (both West of Scotland Boccia), Arthur Lawson (No Limits) and Callum Glasgow (Right on Target) who shone through and qualified for the semi finals. At this stage, the two players from the West met with Ross narrowly triumphing 4-3 after the four ends of play. The other semi final saw No Limts player Arthur Lawson defeat Forth Valley’s Callum Glasgow and set up an exciting East / West final. A very close match saw Ross Munro claim the title with a 5-4 victory and leave Arthur Lawson with a silver medal and Lucy Rutledge with a bronze after defeating Glasgow in the 3rd/ 4th playoff match. Similar to class A, the class for players with a learning disability was hotly contested with some impressive boccia being played throughout. In the male section, the Right on Target players were well represented in the at the semi final stage with Darren Rooney and Lee Duncan qualifying alongside Daniel Strang (No Limits) and Faizan Haq (Edinburgh Leisure High Flyers) from a competitive group stage. It was Rooney and Strang who defeated Haq and Duncan respectively to qualify for the final stage of the competition and it was the No Limits player who claimed victory after a tense final. The semi final stage in the female section was dominated by Lothian players as three from the four were local to the competition however it was Right on Target player Barbara Anne McGinn who qualified for the final after defeating Jodie Lavin (LSO). McGinn was joined by Philippa Robertson (LSO) as she defeated last year’s winner Kirsty McCallum (No Limits) in the other semi final and maintaining the record of having a Lothian player in each final at this year’s competition. Philippa Robertson equalled Daniel Strang’s achievement in the male section, winning the trophy and keeping the title in the Lothian region. Class C saw four players using assistive devices battle it out in a round robin format with the player recording the most points being declared the winner. It was Sean McCann who made home advantage count as the East of Scotland Boccia club player used his experience and played well throughout, defeating Aaryn Widd (Forth Valley), Connor Meechan (Forth Valley) and Andrew Douglas (Edinburgh Leisure High Flyers) to claim the top spot - Aaryn Widd securing second and Connor Meechan third. The junior section saw an increase in entry from the previous two years, with four groups of players pitting their skills against their peers from across the region and indeed the country. It was Dumfries & Galloway who took full advantage with the final stage being contested by two players from the region. Christian Mason and Hayden Keir – the two players who were winner and runner up last year – battled it out with the latter coming out on top and claiming the gold medal. LSO youngster Chloe Ewens claimed third sport with her debut at the competition. I would like to thank all players and coaches for travelling to the competition and making it a success. I would also like to extend a sincere thank you to all individuals who assisted with refereeing / time keeping / results table - the competition could not run without your much needed and appreciated support. Finally, a special thank you to Scottish Disability Sport’s Coaching Future’s Boccia Apprentice, Lewis McCulloch who was on hand to provide his experience throughout and also expertly present the medals at the end of the day. To celebrate Bike Week 2016, Handcycling Edinburgh, in conjunction with Edinburgh All-ability Cycling is hosting a handcycle taster event! Please follow the link below to be directed to the specific facebook pages highlighting the information relating to the handcycling events on Sunday 12th and Tuesday 14th June. This is the individual link for the taster session with Handcycling Edinburgh on Sunday 12th June. 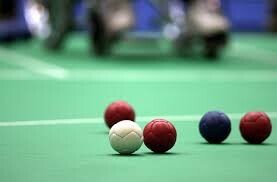 Lothian Disability Sport (LDS) will hold their third Regional Boccia Championships on Saturday 18th June at the Jack Kane Centre, Edinburgh for players of all ages with a physical or learning disability. The competition will be delivered in partnership with Scottish Disability Sport (SDS) and Lothian Special Olympics (LSO) and provide an opportunity for players to compete against their peers from the region and further afield. For the Lothian contingent, the competition will act as a qualifying event for the upcoming Scottish Boccia Open and also provide some competitive experience for players representing Lothian at next year’s Special Olympics National Games in Sheffield. Venue: Jack Kane Centre, 208 Niddrie Mains Road, Edinburgh, EH16 4ND. The Lothian Disability Sport (LDS) Annual General Meeting (AGM) is scheduled for Monday 20th June at Caledonia House, South Gyle, Edinburgh, EH12 9DQ – 7.00pm for a 7.15pm start. Everyone at LDS are looking forward to seeing you on Monday 20th June. 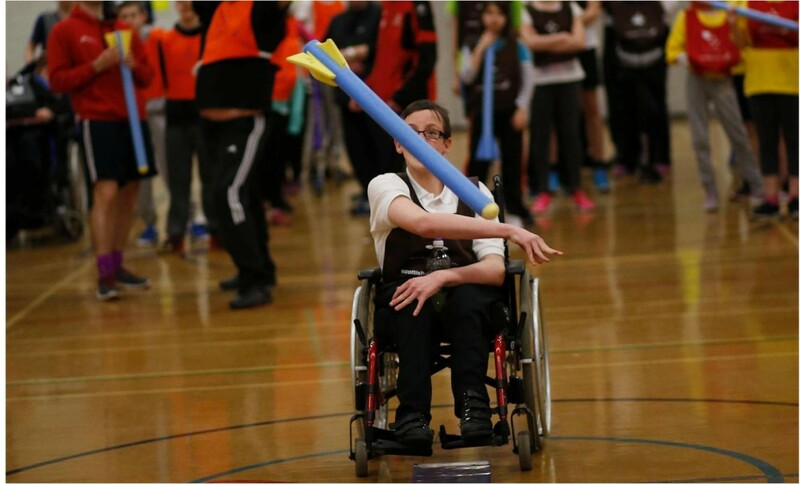 Meadowmill played host to the annual Lothian Disability Track & Field Athletics Qualifier on Wednesday 27th April, attracting over 80 young people from across the Edinburgh and Lothian region. This year saw the event run in parallel with the East Lothian Youth Games ensuring a very busy day and providing the opportunity for a disability specific event to be included within a mainstream sports programme. Lothian Disability Sport worked in partnership with East Lothian council and Scottish Athletics to facilitate the event which provides the opportunity for individuals with a physical, sensory or learning disability to record times and distances in a variety of track and field events. The fundamental aim of the competition is participation and providing a taste of the sport to a whole range of budding athletes. Additionally, the participants are also given the opportunity to post times and distances that will put them in contention for selection to represent the Lothian region at the upcoming Scottish Disability Sport National Event – here they will compete against their peers from across the country at Grangemouth Athletics Stadium in early June. Both the Regional and National competitions provide the platform for young people to participate as the format allows different disabilities and athletic abilities the chance to compete against their peers with similar entry times / distances. The event saw strong representation from experienced campaigners Dunbar Grammar (East Lothian), Woodlands (Edinburgh), Saltersgate (Midlothian) and Cedarbank (West Lothian) while we welcomed new additions from Duddingston PS and Nether Currie PS (both Edinburgh). With 88 young athletes registered to participate, clearly demonstrating the demand for athletics in the Lothain region – a sport which helps young people learn the fundamentals of sport and physical activity. Results from Wednesday’s event will be available soon. 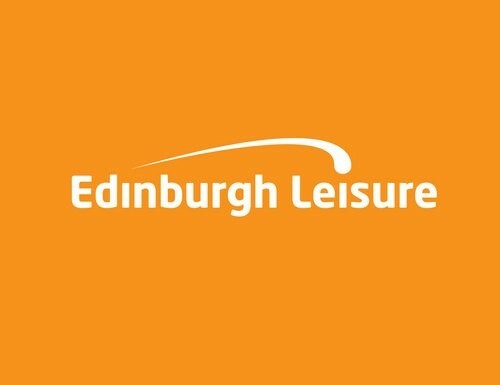 Edinbrugh Leisure are currently on the look out for a new Disability Sport Development Officer. If you are interested in this fantastic opportunity, please see the details below and click here for the job description.